“Sometimes too much love and care is transformed into pain and worries. This evening I had the ocasion to meet a special family, husband and wife, a family where the love for pets became a survival issue. 10 months ago the wife, a lovely lady with only good intentions, saved a few baby cats and kept them in the house. 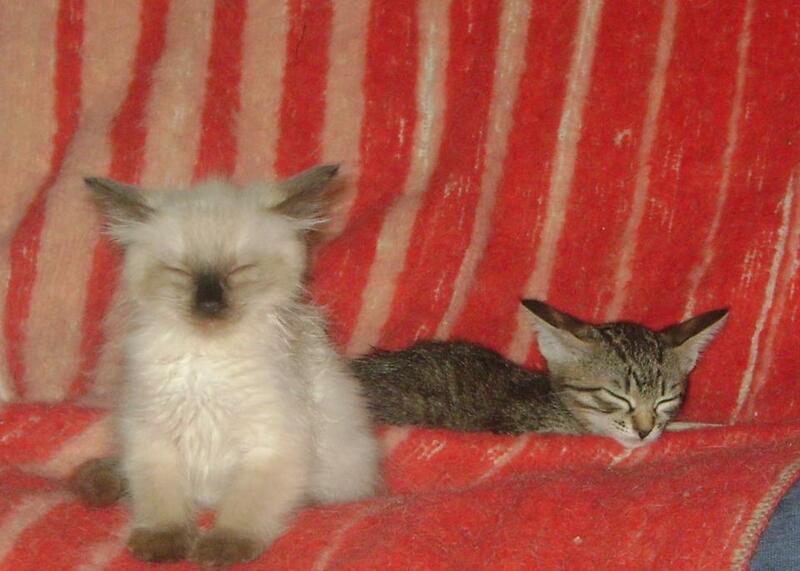 Now, after less than one year, they are overwelmed…by cats and by problems. Last week my vet asked me to help her and I said, yes, sure, I will call and establish a meeting to see the cats. I called and set up the meeting , but no one prepared me for what I found there. The vet said that they have over ten cats, the lady said that she has around 20 kitties, but when I was there I lost the count. There were so many I couldn’t count them and I was afraid to know their total number! The people are great, but their love and their incapacity to keep up with the expenses for sterilisations has made it impossible for them to control the events. 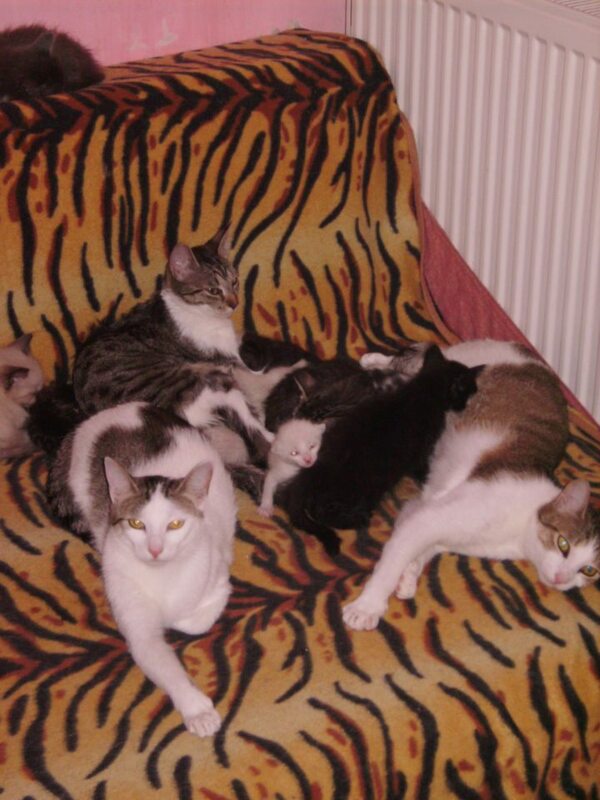 There are right now there : – 6 moms, all 4 less than one year old , (I only have managed to get pictures 4 of them, all 4 less than one year old , the grey ones, the other 2 moms and their babies where in another room); 1 male, now sterilised, pretty shy, arround 10 months old; 5 lady cats sterilised , 2 of them less than one year old and up to 3 generations of baby cats , still breast feeded by their mom, without their eyes opened yet – I was unable to count them – and 2 generations of biger babies, still breast feeded by all mothers but ready to go home and up for adoption – also without a number for them – 1 generation of 3 months old babies, also ready for adoption – I counted 3, they may be more. This is an unfortunate case highlighting the importance of getting animals neutered. This family has been looking after the cats but as you can see without neutering the cats what was a handfull of cats has turned into a colony – too much for this family to handle. We are now working to fund all the sterilisations and get medical attention for all the cats. What we need as mentioned is homes for the kittens as well as donations to help fund the vet’s bills. Fortunately the mother cats can stay where they are which is a blessing.